From Goodreads: A comedic, violent, and surreal interpretation of the afterlife. The story is an epic battle between the Devil, God, and a Dentist. The Devil wants to destroy the universe and himself because he is bored with living. Nothing in this story makes any sense but in a good way. I can’t help but think the title of this novel needs another comma. 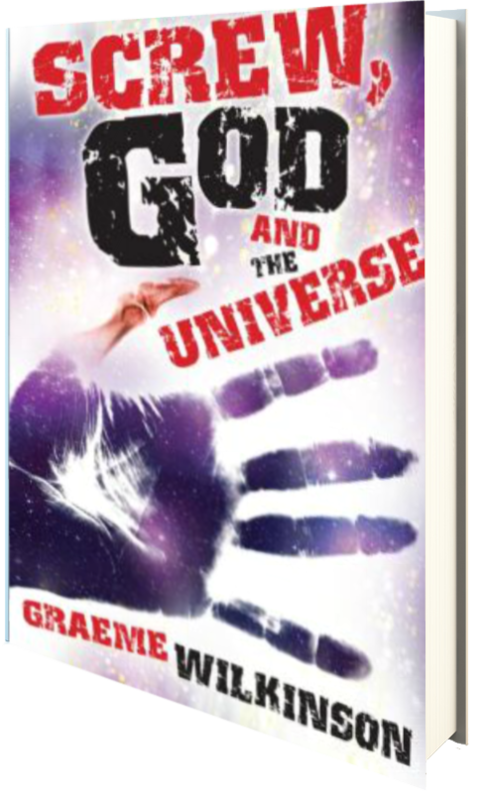 I feel it should read: Screw, God, and the Universe. And I feel this way because Screw is a person, Satan, in fact, so the title shouldn’t be taken as a mantra to “screw God and the Universe,” which is what I feel like it’s sort of trying to say, except for that pesky comma hanging out there… but grammar aside, I have to say that I really didn’t care for this one at all. It starts off with God creating the universe, and mainly, earth, due to a drunken bet. And while I know this is just a story, it’s a bit offensive, but sort of slapstick at the same time, so I continued on. The novel then focuses on a man who is about to commit suicide, and shows him traversing the halls of a unknown place, only to end up in a room with a whole bunch of naked writhing, degenerate people doing horrible, disgusting things. At this point, I had no idea what was really happening, but continued on; I try to give novels the benefit of the doubt. As it turns out, this entire novel is somewhat thrown together, jumping between heaven, hell, and earth, focusing on Screw and his mantra of hurt. It’s grotesque and fairly hard to follow, in my opinion, and I had a really hard time gaining a sense of purpose for the story as a whole. In retrospect, I think it’s supposed to be a kind of comical look at the world and people’s beliefs, but it’s so strange and out there that it fell flat for me. One star.